The Secondary Education, Two-Year Postsecondary Education and Agriculture in the K-12 Classroom (SPECA) Challenge Grants Program is a NIFA-administered competitive grants program focused on improving formal, K-14 food, agricultural, natural resource, and human (FANH) sciences education. SPECA-funded projects ensure a competent and qualified workforce will exist to serve the FANH sciences system. At the same time, SPECA-funded projects improve the economic health and viability of communities through the development of degree programs emphasizing new and emerging employment opportunities. Finally, SPECA projects address the national challenge to increase the number and diversity of students entering the FANH sciences (i.e., having a FANH sciences workforce representative of the Nations population). Since 2006, NIFA has awarded more than $7 million through the SPECA program to support K-14 educational and vocational training in the agricultural sciences, which contribute to a skilled, diverse scientific workforce in agriculture. Previously-funded projects include Dig It STL! (http://www.gatewaygreening.org/digitstl/), an internship program training St. Louis, Missouri, teens in urban agriculture and community leadership. Ellsworth Community College(https://ecc.iavalley.edu/academic/agriculture-animal-science/precision-agriculture/) in Iowa Falls, Iowa, expanded its Mobile Precision Ag Lab, a traveling high school agriculture curriculum with more onsite, hands-on activities and demonstrations, including unmanned aerial vehicles and advanced planter technologies. The project also established a Center for Knowledge and Skills to help students establish relationships with potential employers. In FY2019 funding is available for Regular and Collaborative grants only. NIFA supports global engagement that advances U.S. agricultural goals. To attain the agency's goals for U.S. agriculture, global competence of our nations agricultural workforce, and safe and nutritious food security in a growing world, NIFA recognizes that collaboration with international partners can contribute to advances in U.S. agriculture. In an increasingly interconnected world, these U.S. advances may have global importance. Thus, applications in response to NIFA programs are strongly encouraged to include collaborations with international partners, but may only be submitted by eligible U.S. institutions. Applications are to be submitted by April 16, 2019. 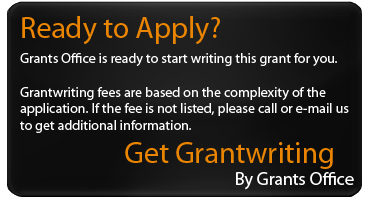 Regular Grants Applicants may request up to $50,000 (total, not per year) project periods may range from 24 to 36 months, including time to evaluate the results and report the impacts. Collaborative Grant Type 1 (CG1) (Applicant + One or more Partners) Applicants may request up to $150,000 (total, not per year) The partners must share grant funds. project periods may range from 24 to 36 months, including time to evaluate the results and report the impacts. Collaborative Grant Type 2 (CG2) (Applicant + Two or more Partners) Applicants may request up to $300,000 (total, not per year) CG2 projects are required to have project periods of 36 months. A cost matching requirement of 1:1 is required unless otherwise specified.